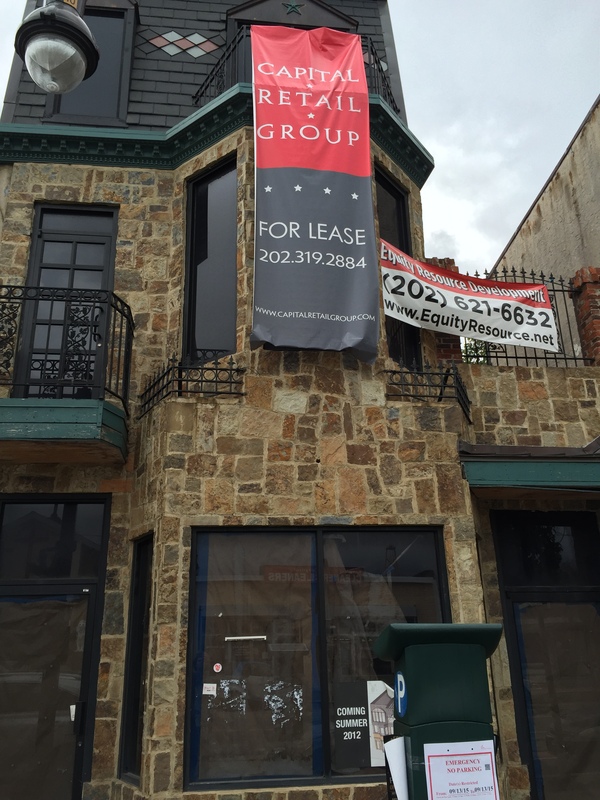 1309 H Street has been vacant for many years, despite a sign in the window saying that a new concept was coming in summer 2012. There had been reports that a spot by the owners of Carolina Kitchen was going to open in the space, but it now appears that isn’t going to happen as there is a for lease sign out front. The building’s exterior is quite a cool space, so we hope that something comes through soon.